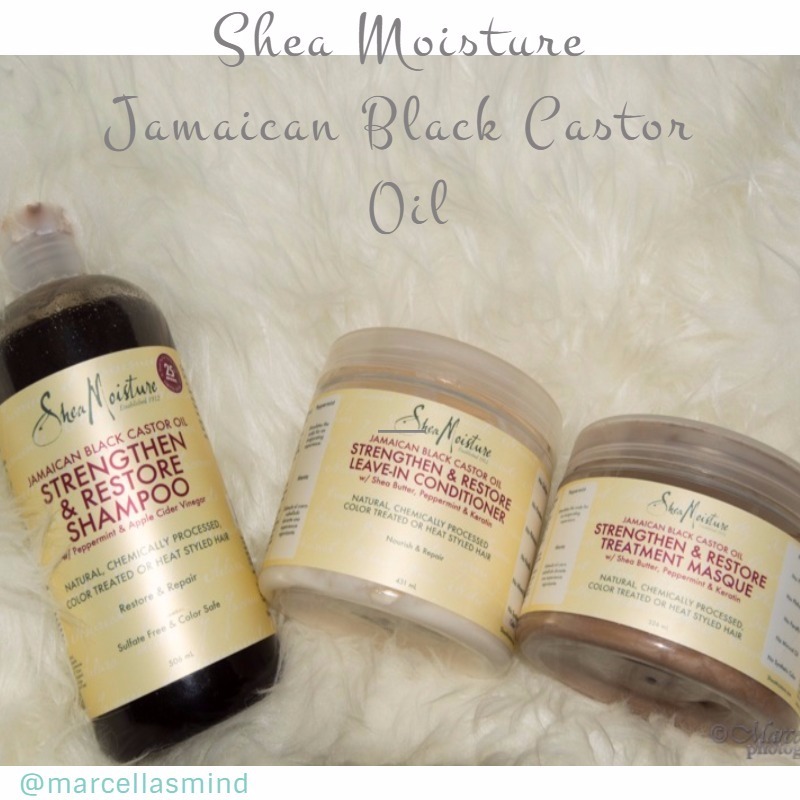 Shea moisture JBCO line - yes or no? I was so happy when first I found the way to get my hands-on this product because from where I come it is almost impossible to get to this brand. I really hope for the future that Shea Moisture will be able to buy in stores. So, from JBCO (Jamaican Black Castor Oil) line I have: leave-in conditioner, shampoo and strengthen & restore treatment masque. Those were my go to product when I have started to take care of my hair properly. In case, you're wondering why this line? Because I have problems with dandruff as longest I can remember. I know they have line for that, I really like ingredients from this line like, peppermint, apple cider vinegar, Shea butter and of course Jamaican black castor oil. I use shampoo on my hair every two weeks to remove product build up and it cleans my scalp perfectly, a little go a long way for sure I have it like six months and the bottle is almost full! The consistency is really watery and you need to be careful when you are putting in your hand. This strengthen & restore treatment masque bring my hair to life every time I use it (once a week), and I do have naturally dry hair. The consistency of masque is definitively thicker and a little also go a long way! Leave-in conditioner is the key in curly hair life. The first thing that I love about it is the size! Then, has cross my mind I'll probably run of it fast, I was so wrong. Nothing makes me so happy when you bought something and you know that you won't need it to buy it soon. Value for money is as much important for me. For full review read here. Tee J : I’ve been using the Jamaican Black Castor oil by this brand for several weeks to thicken my edges. I didn’t know there was a shampoo and conditioner. I have to get my hands on that. Marcela I : They have styling lotion and smoothie from this line too. I'm trying to find smoothie from this line that has delivery in my country, I have heard that is the better than coconut and hibiscus line.